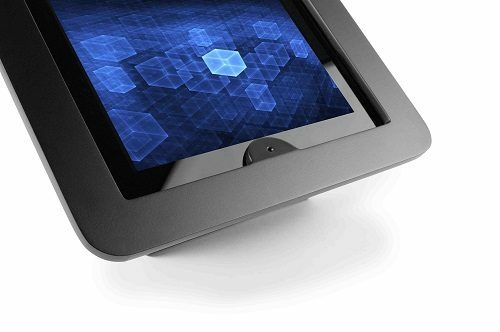 Compulocks Secure Executive Enclosure for iPad 2/3/4/Air/Air 2/5th Gen/Pro 9.7in features rounded edges and open back for improved ventilation and allows for limited access to buttons and inputs. 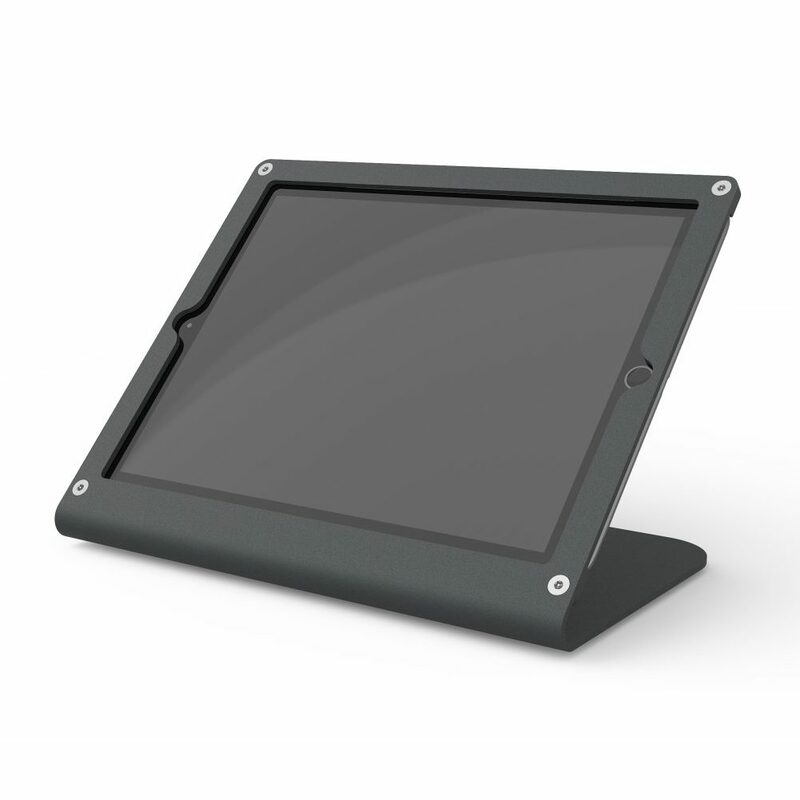 The Compulocks Secure Executive Enclosure for iPad 2/3/4/Air/Air 2/5th Gen/Pro 9.7in features rounded edges and open back for improved ventilation and allows for limited access to buttons and inputs. 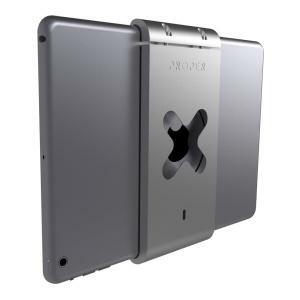 It is our only enclosure that secures ALL 9.7-inch screen iPads from the very first all the way to the most current – iPad 9.7 (2017). 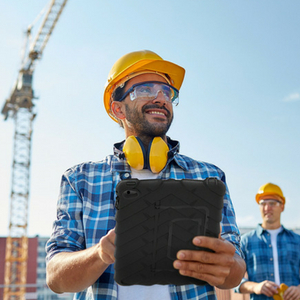 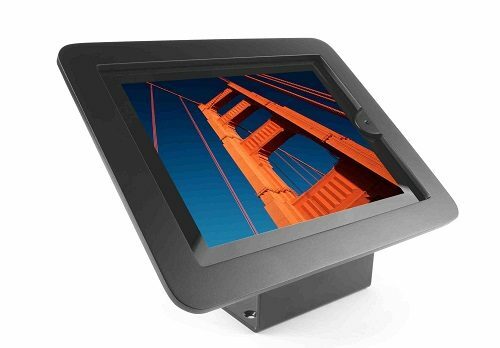 As with all our iPad lock and tablet lock devices, the tablet can be continuously charged while in the enclosure and have peripheral cables plugged in while mounted. 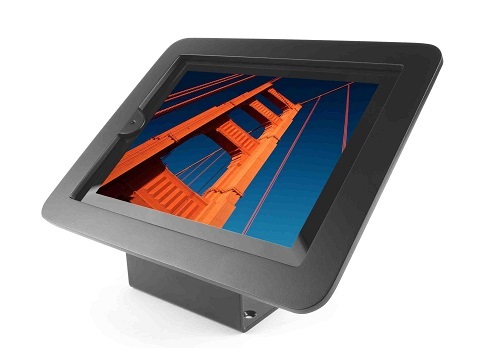 Our Compulocks Secure Executive Enclosure for iPad 2/3/4/Air/Air 2/5th Gen/Pro 9.7in can be mounted on a counter-top or wall for use as a secure interactive display. 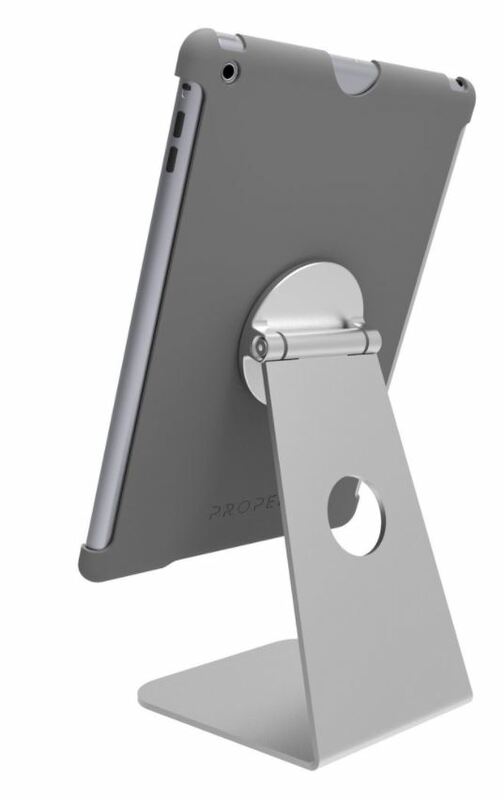 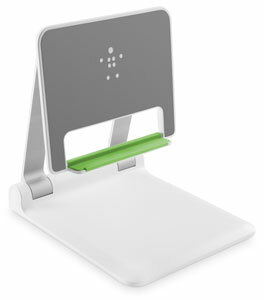 It is our original stand giving you a fixed 45-degree viewing angle and the possibility to set the tablet in either orientation mode. 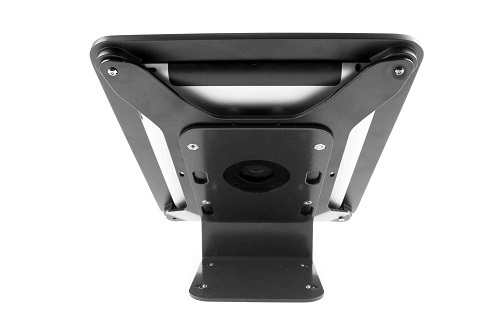 Other features of the Compulocks Secure Executive Enclosure for iPad 2/3/4/Air/Air 2/5th Gen/Pro 9.7in are a high-grade aluminum enclosure, continuous charging while mounted, tamper-proof screw kit, counter-top or wall mountable and compatible with our security cable lock.